Virginia Beach is located at the mouth of the Chesapeake Bay, the nation’s largest and most biologically diverse estuary, yielding more seafood than any of the 840 other estuaries in the United States. Fresh seafood is carefully cultivated, harvested and protected here, joining farm-fresh fruits and vegetables in a combination that local chefs find endlessly inspiring as they invent new ways to offer Farm to Table experiences. 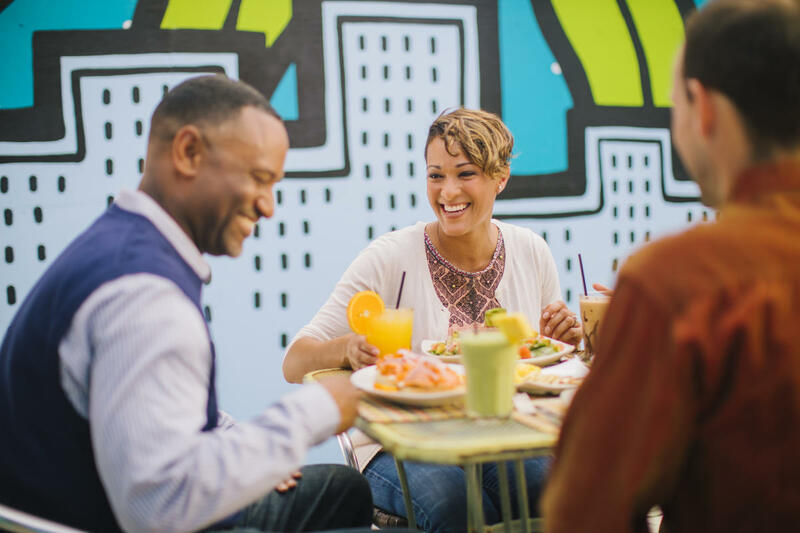 It’s not just the delicious food on your plate, but the entire experience of culinary adventure that sets Virginia Beach apart. 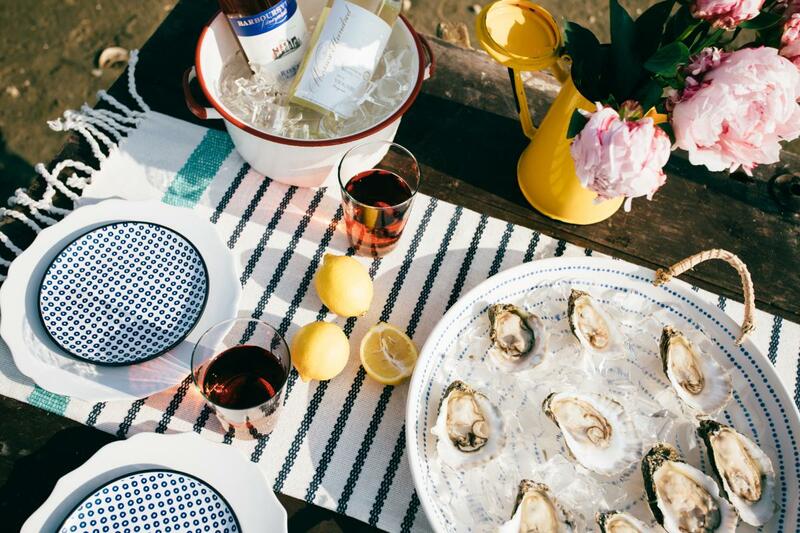 Enjoy a Chesapeake Bay blue crab feast on the water, take a food lab class at New Earth Farm, go in search of the richest chocolate, feast on just-harvested oysters – the possibilities are endless. Throughout the year, festivals celebrate the bounty and creativity of local food specialties. 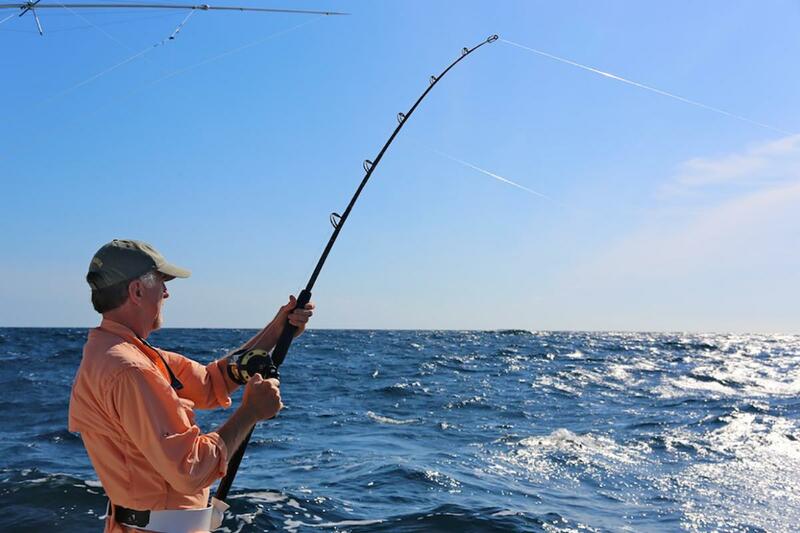 Book a fishing trip in Virginia Beach, and your catch is soon to become your favorite meal. Area restaurants will prepare your fresh-caught fish in signature ways. The tastiest rockfish, tuna or cobia is the one you reel in yourself. 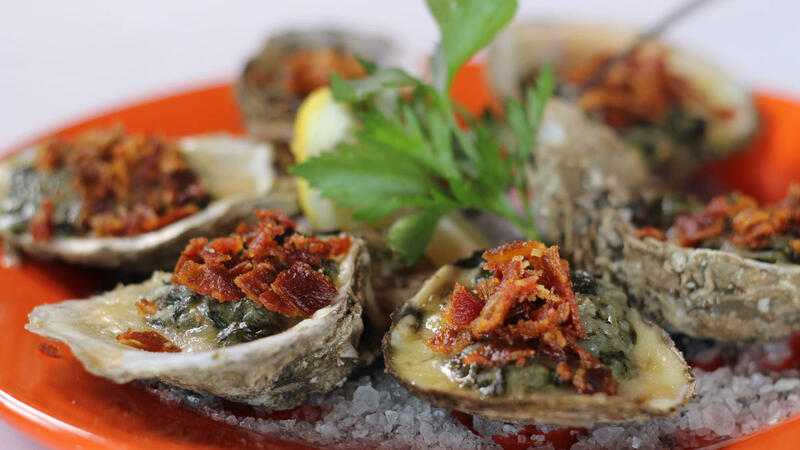 Sample Virginia Beach’s legendary Lynnhaven Oysters on a river tour of a working oyster farm. 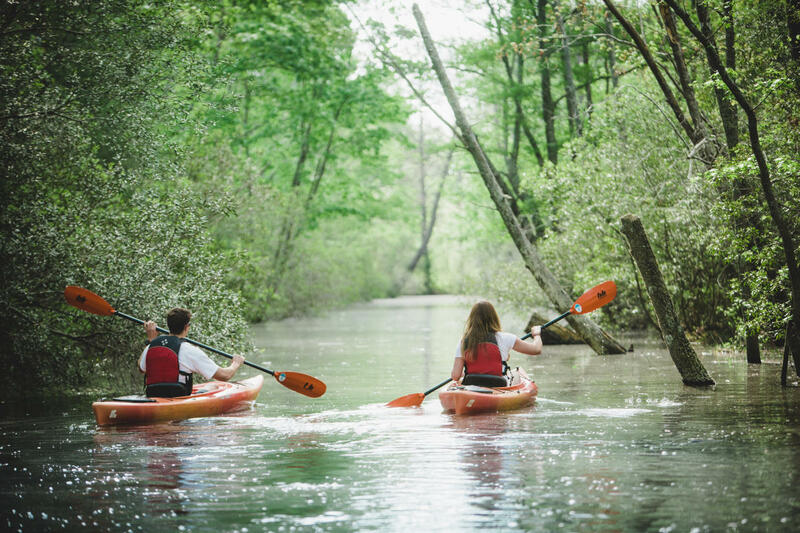 You’ll learn of their historical significance and revitalization efforts on this fun adventure – slip on your water shoes and bring a bottle of wine. Kayak quiet waterways to Blue Pete’s restaurant for a satisfying meal featuring fresh seafood and other local specialties. Try the famous crab crakes, a local favorite. Where the sun rising over the ocean starts every day with wonder, breakfast is a major treat. Enjoy yours among local surfers and fishermen at a resort area breakfast spot. Rent a beach cruiser to explore the boardwalk restaurant scene for a midday meal. 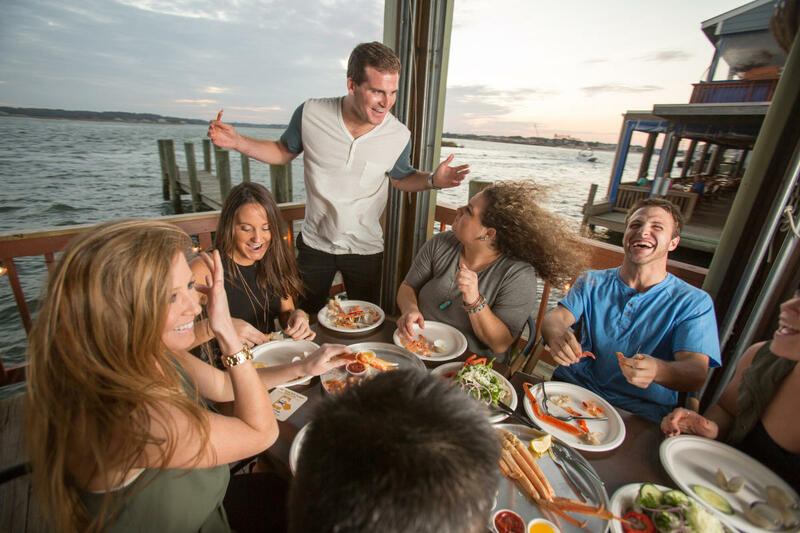 Finish off your day with a down-home crab feast complete with ocean or Chesapeake Bay views.